Throughout his legal career, Mr. Edmond has always felt most at home in the courtroom. Mr. Edmond started his legal career as Prosecutor for the 9th Circuit State Attorney’s Office in Orlando, where he tried dozens of misdemeanor and felony cases, including domestic violence, sexual battery and DUI’s involving property damage. 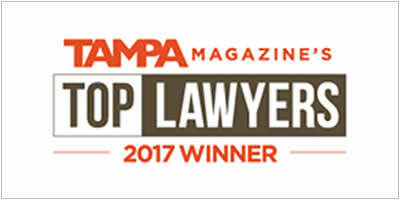 After resigning from the State Attorney’s Office, Mr. Edmond moved the Tampa Bay area and became Trial Counsel for a nation-wide insurance company, taking numerous cases to trial on behalf of the company and its policy holders. Mr. Edmond gained a wealth of experience working for and with insurance companies in defending personal injury lawsuits. Mr. Edmond is well versed in how your insurance company thinks and how they will handle each bodily injury claim. Mr. Edmond has joined our Community Association Law and Real Estate Litigation team, using his extensive litigation experience to assist board members, as well as homeowners with their legal issues. Reggie earned both his Bachelor’s Degree from The Florida State University in 2003 and his Juris Doctor from The Florida State University College of Law in 2006. While in law school, he was a member of the Mock Trial Team, the Student Bar Association (“SBA”) and the Congress of Graduate Students (“COGS”). 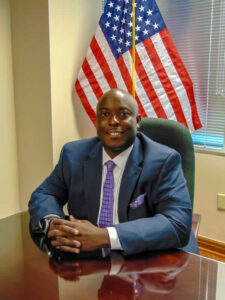 He licensed to practice in all State courts, as well as the U.S. District Court for the Middle District of Florida. Mr. Edmond’s courtroom experience has been a valuable addition to the FL Legal Group team.